 Mouse anti Human CD93 antibody, clone X-2 recognizes human Complement component C1q receptor, also known as CD93, C1q/MBL/SPA receptor, C1qR or Complement component 1 q subcomponent receptor 1. CD93 is a 652 amino acid ~126 kDa single pass type 1 transmembrane glycoprotein containing a single C-type lectin domain and multiple EGF-like domains. CD93 is expressed on granulocytes, monocytes and endothelial cells, but is not expressed on tissue macrophages (Nepomuceno andTenner 1998). Culture of monocytes in the presence of IL-4 and GM-CSF to produce immature dendritic cells express surface CD93 but maturation in the presence of LPS or ionomycin leads to down regulation of the CD93 antigen expression (Steinberger et al. 2002). Prior to reconstitution store at +4oC. Following reconstitution store at +4oC or at -20oC if preferred. McGreal, E.P. et al. (2002) Human C1qRp is identical with CD93 and the mNI-11 antigen but does not bind C1q. J Immunol. 168 (10): 5222-32. Steinberger, P. et al. (2002) Identification of human CD93 as the phagocytic C1q receptor (C1qRp) by expression cloning. J Leukoc Biol. 71: 133-40.